After the long brutal winter up here our birds are finally responding to calls, about a month late. This enormous bird by northeastern standards came to good ole' fashion clucks and purrs. 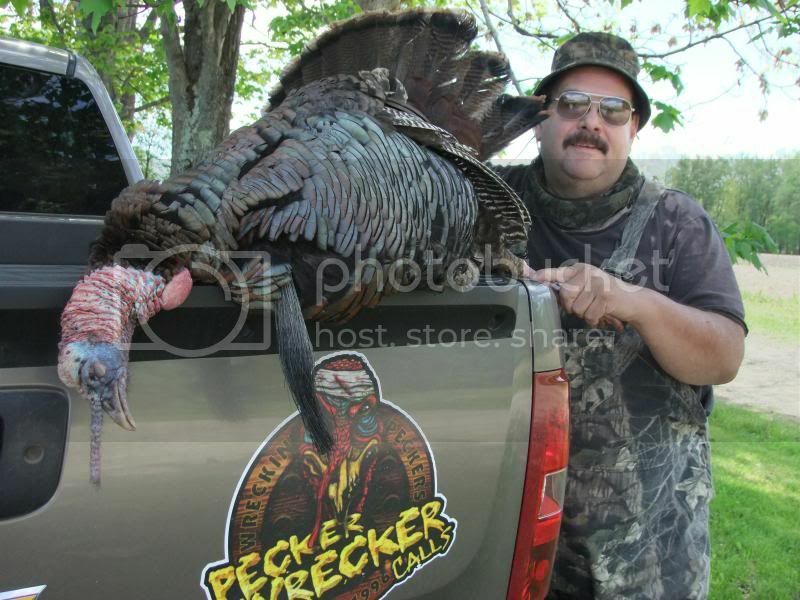 He weighted 23.0 pounds, 1.25 in spurs and a 10 inch beard. We have another week to our season and I have a tag left hopefully I can add another to our teams total. Nice bird, hope the next one is bigger. Called one in for my dad on Saturday and he just didn't get/be ready like I told him to be. Very disappointed to say the least. I'm going after that bird in the morning.